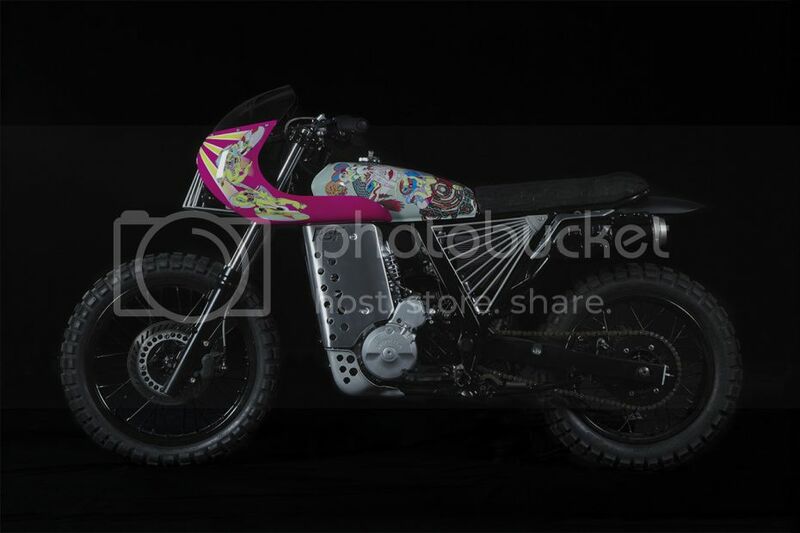 As a nod to its Spring/Summer 2014 “MOTORPSYCHO” collection, SUPER tapped iconic Japanese artist Keiichi Tanaami to customize a collaborative motorcycle. Recalling the collection’s “VISIVA” series, the project utilizes a 1988 Honda NX650 from Italy’s Basic Garage as a canvas, applying Tanaami’s intricate lines and bold splashes of color to the black bike’s gas tank and nose cone. A unique one-off and a celebration of creativity, the Tanaami-customized NX650 will be on display at a variety of exhibitions around the world in the months to come. RETROSUPERFUTURE® MOTORCYCLE from retrosuperfuture on Vimeo.